Planning a trip? Maybe a cruise? Going to Disneyland? Or maybe Hawaii? 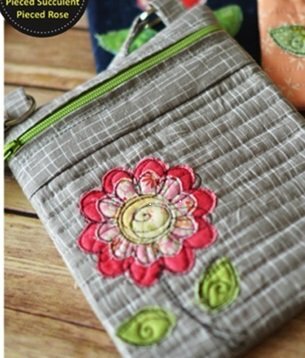 Come join us to make this super cute crossbody bag. It’s perfect to hold all the essentials when taking a trip and with a zipper closure everything is secure. This bag is fully lined so no raw edges and even the zipper is put in with the embroidery.